What's wrong with No Labels? 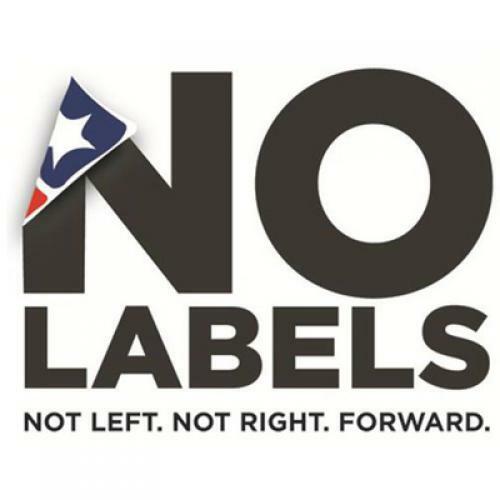 WASHINGTON—The "No Labels" group that held its inaugural meeting this week in the name of the political center fills me with passionate ambivalence. My attitude is moderately supportive and moderately critical—accented by a moderate touch of cynicism. Who can disagree with a call to put aside "petty partisanship" and embrace "practical solutions"? Let's cheer the group's insistence on "fact-based discussions." Too much political talk these days is utterly disconnected from what's actually true. Fact-based always beats fantasy-based. The No Labelers are also right to be repulsed by the replacement of real argument with a vicious brand of name-calling. When a president of the United States is attacked simultaneously as an "extreme liberal liar" and a "Nazi," there is a sick irrationality at work in our discourse. And, heck, full disclosure requires me to acknowledge that in 1991, I wrote a book called "Why Americans Hate Politics" in which I extolled "the great American middle" that represented "the restive majority." "This great American middle felt cheated by our politics for most of the last 30 years," I argued. "In liberalism it saw a creed that demeaned its values; in conservatism it saw a doctrine that shortchanged its interests." I still like those lines, so what's my problem with these neo-restive-majority types? The basic difficulty arises from a false equivalence they make between our current "left" and our current "right." The truth is that the American right is much farther from anything that can fairly be described as "the center" than is the left. Indeed, there is no far left to speak of anymore. Even among socialists—I'm talking about real ones—almost all now acknowledge the benefits of markets, no longer propose state ownership of the means of production, and accept the inevitability of inequalities in wealth and income. What they oppose is the rise of extreme inequalities that are antithetical to both a healthy democracy and a healthy market economy. In the meantime, large parts of the right have moved to positions that Ronald Reagan didn't dare take, or abandoned in the name of realism: voucherizing Medicare, partially privatizing Social Security, insisting that the New Deal represented an unconstitutional power grab, and eviscerating inheritance taxes and progressive income taxes. So successful has the right been in dragooning the discourse that President Obama's health care plan, a rewrite of middle-of-the-road Republican ideas from 15 years ago, is condemned as radical. His overall program and his rhetoric are more restrained than FDR's, Harry Truman's, or LBJ's. The No Labelers' core problem was illustrated by Politico's Ben Smith, who noted that they opened their New York City meeting "with just one label largely absent: Republican." The few Republicans present were admirable people driven from their party by the right wing. Reps. Mike Castle of Delaware and Bob Inglis of South Carolina lost primaries this year, and Gov. Charlie Crist of Florida ran for the Senate as an independent. They were joined by New York City Mayor Mike Bloomberg, the ex-semi-Republican, and former Rep. Tom Davis of Virginia, who declined to run for the Senate in 2008 when the GOP chose to pick its candidate through a convention destined to be dominated by ultra-conservatives. The No Labelers can yet be a constructive force if they remind us of how extreme the right has become and help broker an alliance between the center and the left, the only coalition that can realistically stop an ever more zealous brand of conservatism. But they will have to admit that labels aren't the real problem. What lies behind them is.